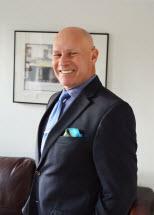 Mr. Salinger is a 1989 graduate of Northeastern University School of Law. He holds a Bachelor of Arts from the University of Massachusetts at Boston (1985). He is admitted to the Massachusetts bar, the United States District Court for the District of Massachusetts, the First Circuit Court of Appeals, and the Supreme Court of the United States. He has tried cases in the state and federal courts of Massachusetts and has prosecuted appeals before the Massachusetts Appeals Court and the First Circuit Court of Appeals. He has also litigated before the United States Trademark Trial and Appeal Board. For, several years, he was a panel member of Volunteer Lawyers for the Arts. His clients include individuals and businesses, as well as other lawyers throughout Massachusetts, as well as from numerous other states and foreign countries. He has a 5-star Avvo rating.